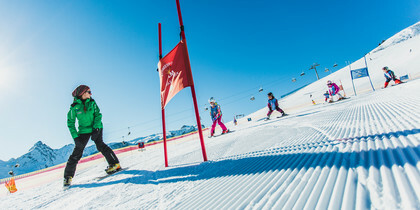 Bewegungsberg Golm in the Montafon defines itself by its versatility. 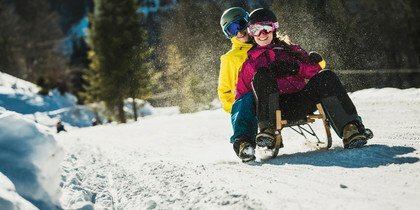 Alongside sporting activities such as skiing and hiking, numerous attractions provide fun for the whole family. 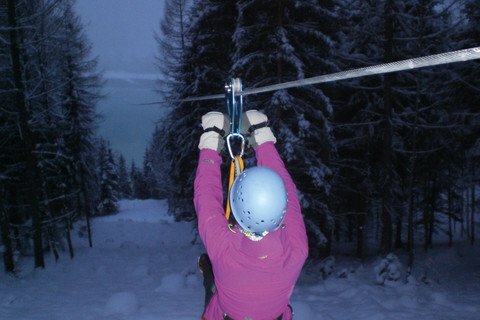 Pure relaxation, fun & exercise in the middle of the Rätikon mountains. 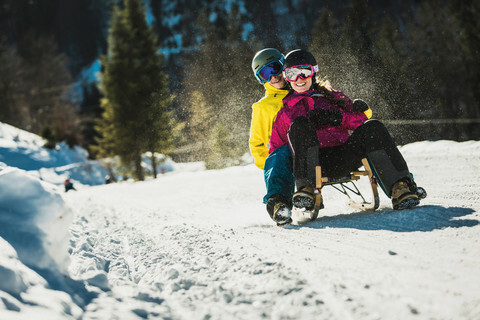 In winter, exciting family offers and a wide array of varied ski runs for all levels, from easier practice areas for kids to challenging World Cup runs entice skiers. In the summer, Golmi’s Forschungspfad, Waldseilpark, Flying-Fox, Alpine-Coaster-Golm and Gauertaler AlpkulTour provide magnificent experiences. 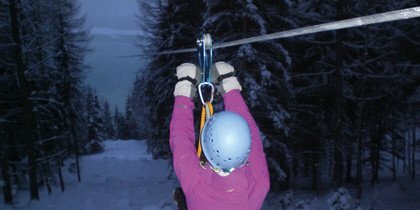 Tingling nerves in the dark - with the night flight across Latschau reservoir, snowshoe hike and Keesknöpfli (cheese dumpling) party. The perfect end to a day of skiing in the Montafon! 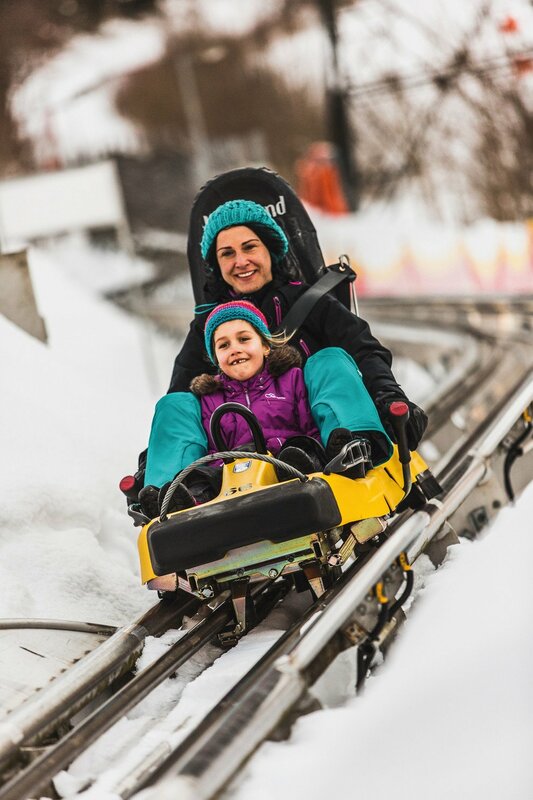 Family fun with the toboggan run on rails. 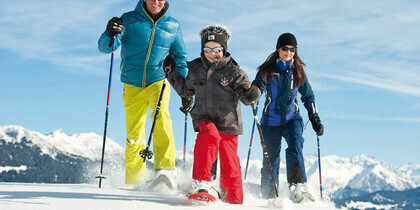 Deep snow descents, stories and a barbecue party in the snow forest are waiting! 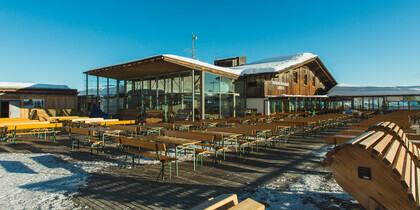 You can explore the pistes on the Golm for 3 hours with our morning ticket. Didn’t find the right one? No problem! 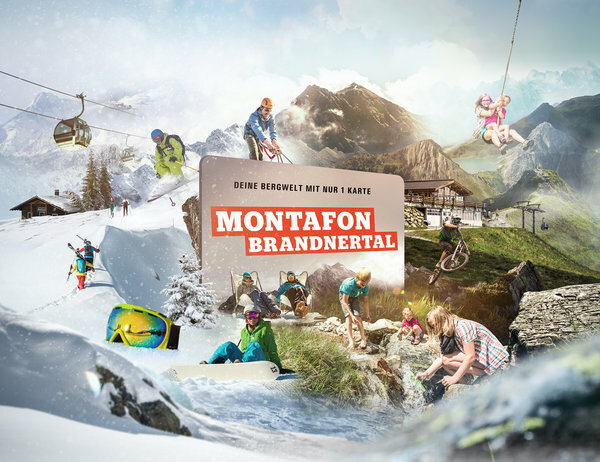 You can find more current information from Bewegungsberg Golm in the Montafon in the current information tab. See the situation on the mountain for yourself. Where ist the Bewegungsberg Golm? 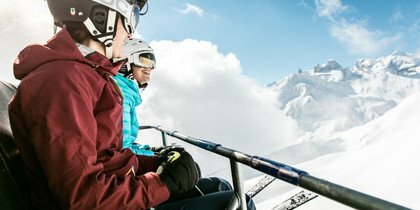 Up-to-date information about the Golm ski area. 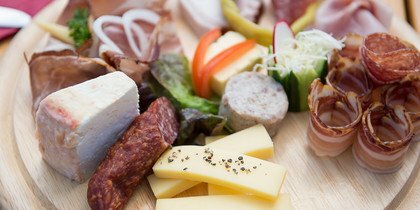 Here is how to get to Bewegungsberg Golm. 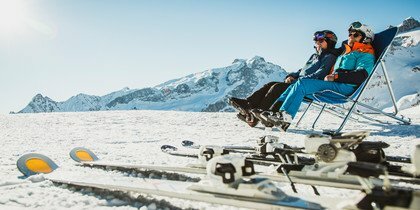 Schenke einzigartige Stunden am Golm. 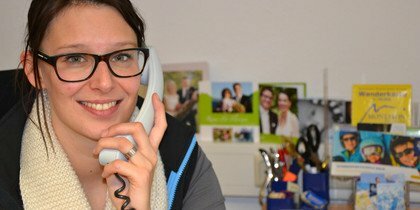 Mit den individuellen Erlebnisgutscheinen passend zu jedem Anlass. 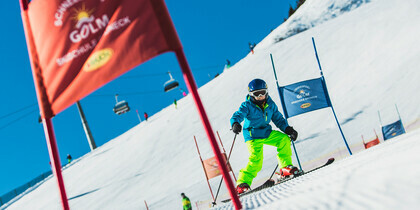 You will find the opening times and prices of the Bewegungsberg Golm here.